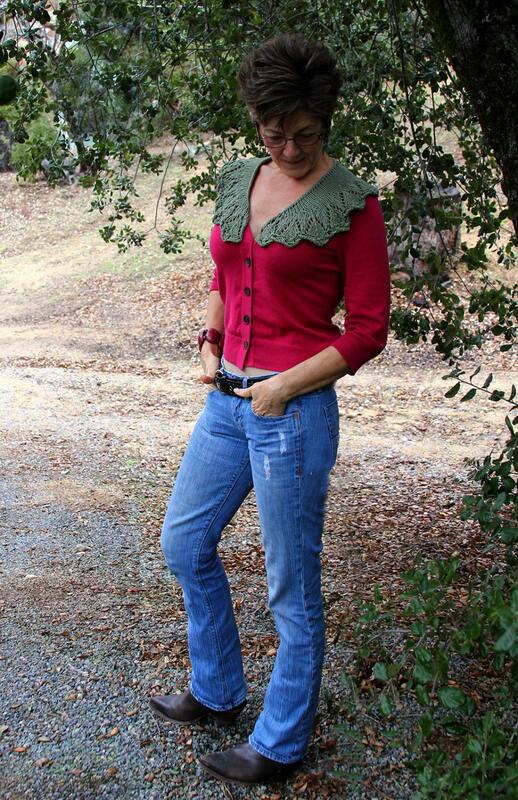 This little collar sports an easy to remember lace pattern which knits up fast. 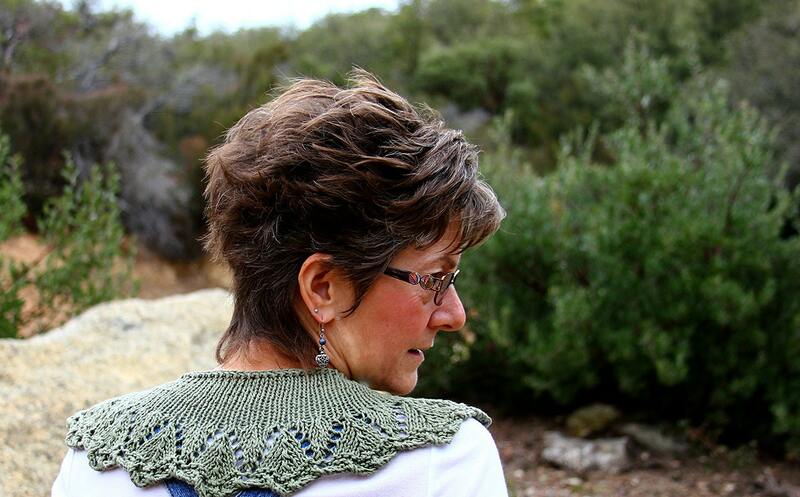 If you ever wanted to learn to knit from a chart, this is a great pattern to start you off! Both written out and charted, YOU can do it! Features a fun and unique highly textured, scalloped edge for a twist of great definition. The I-cord bind off adds stability and keeps the edge from rolling. Adds a feminine touch to anything you wear! Wear it pinned or let it fall open, fits whatever you’re wearing! So cute with jeans and a T-shirt! 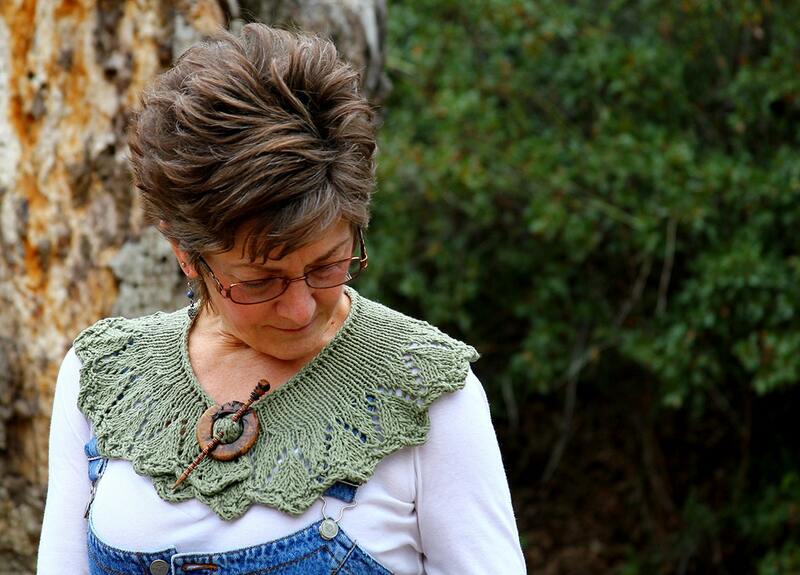 Just 130 yards of any DK weight yarn, the one in the photo is made from a (discontinued) 100% cotton yarn. Knit with strategically placed decreases, the collar lies flat on your shoulders as it forms a gentle crescent shape. Approximately 18” in diameter from outside edges, 8” diameter from inside edges, and 5” deep from neck edge to lower back. 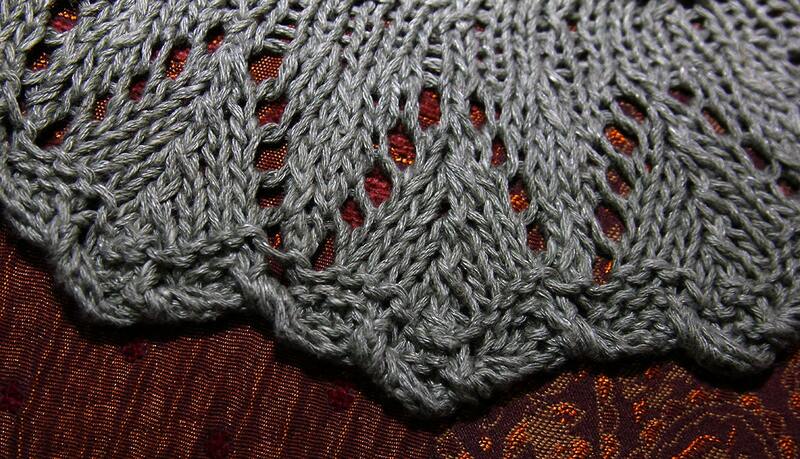 Pattern is both charted (repeat is 12 stitches by 10 rows) and fully written out. The pattern is 5 pages with large, easy-to-read chart and a picture tutorial for the RW procedure.